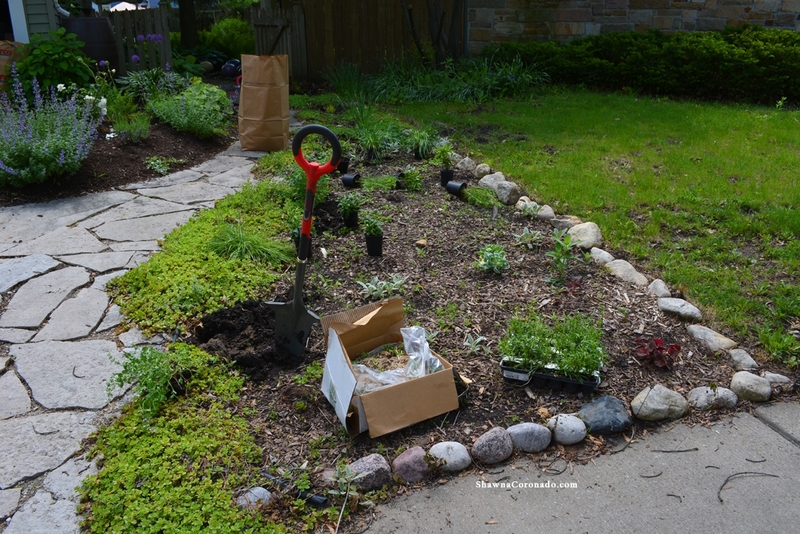 My front side yard had really gotten to a point of disrepair last season and want to show you how to rebuild a perennial garden bed. 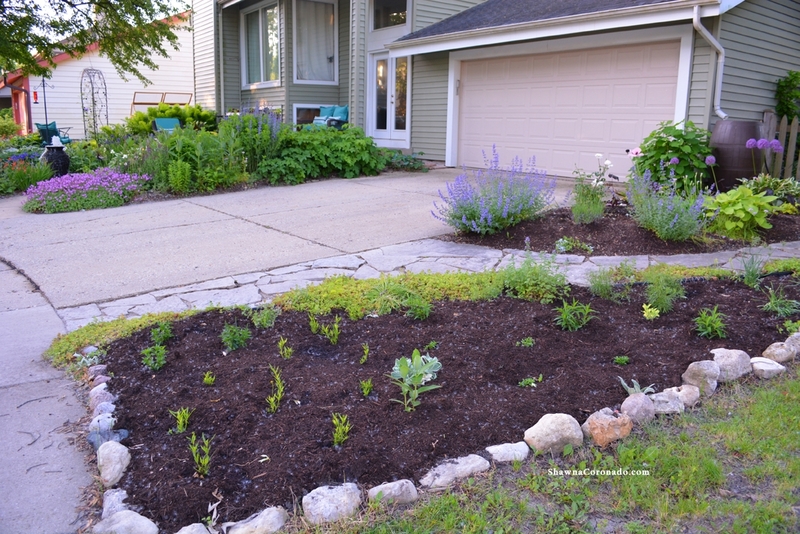 I decided to rebuild the garden so it presents better, will be drought tolerant, and is easier to maintain. I’ve been using till-free planting techniques for years and below I have a little guide on the steps I used to plant this garden in a till-free fashion. Note I did not double-dig or raise the bed or do anything complicated. 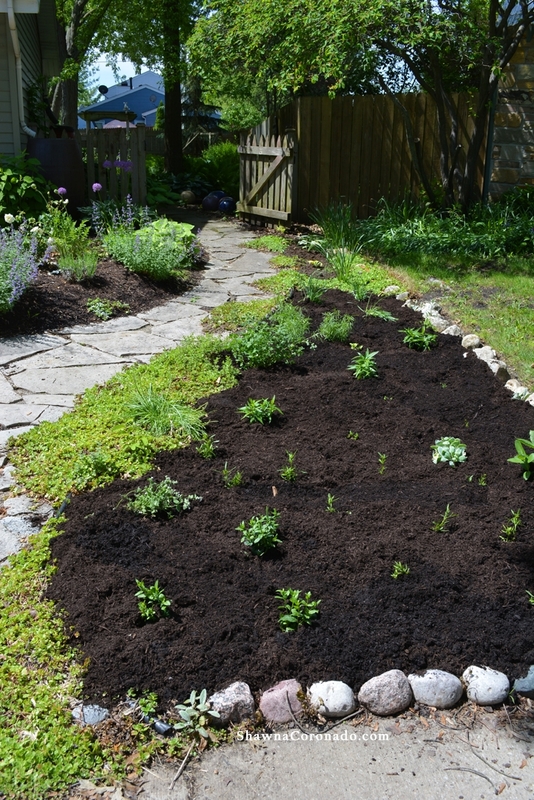 I dug the holes, added some amendments, and mulched well. It’s that simple. 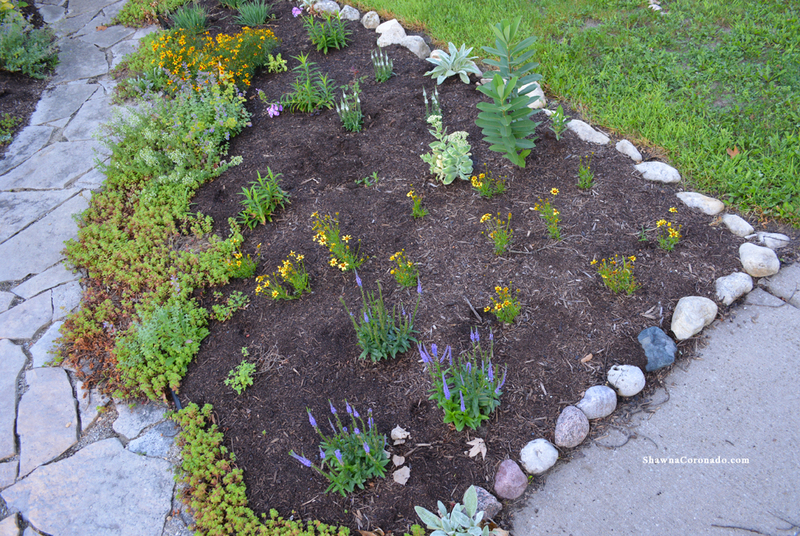 Plants used in this garden bed require full sun, are mostly drought tolerant, and all the perennials are very easy to maintain. 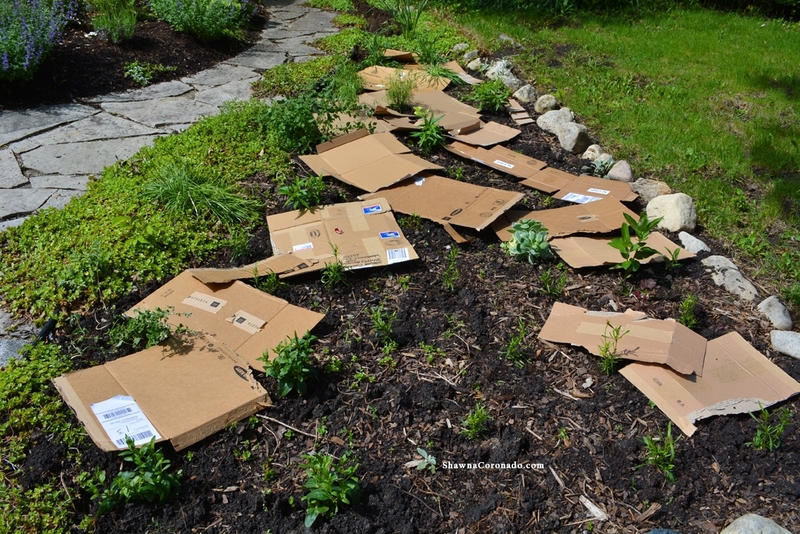 Special thanks to Walters Gardens for providing the plants for this delightful How to Rebuild a Perennial Garden Bed experience and the Organic Mechanics Soil company for providing my organic worm-casting filled mulch I used over the top of the cardboard.